In this section you will find G. A. 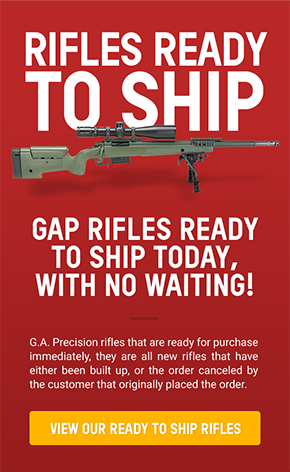 Precision rifles that are ready for purchase immediately, they are all new rifles that have either been built up, or the order canceled by the customer that originally placed the order. These do not last long.